CooksRecipes has quality, kitchen-tested recipes for a large variety of classic and nouveau nut and pecan pies, including mock pecan pies, that you can count on for successful deliciousness. 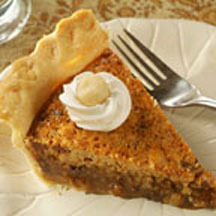 Traditional Southern pecan pie with a buttery sweet, crunchy twist. 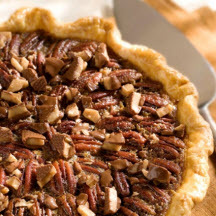 This spectacular pie combines the 'traditional' pecan pie with a distinctive chocolate flavor. What a wonderful way to complete a special meal. 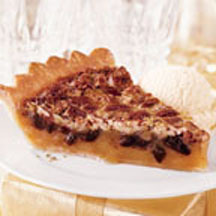 This 1st Prize winning pie has all the flavors of pecan pie with the delicious addition of rich chocolate, walnuts, macadamia nuts and a hint of coffee liqueur.